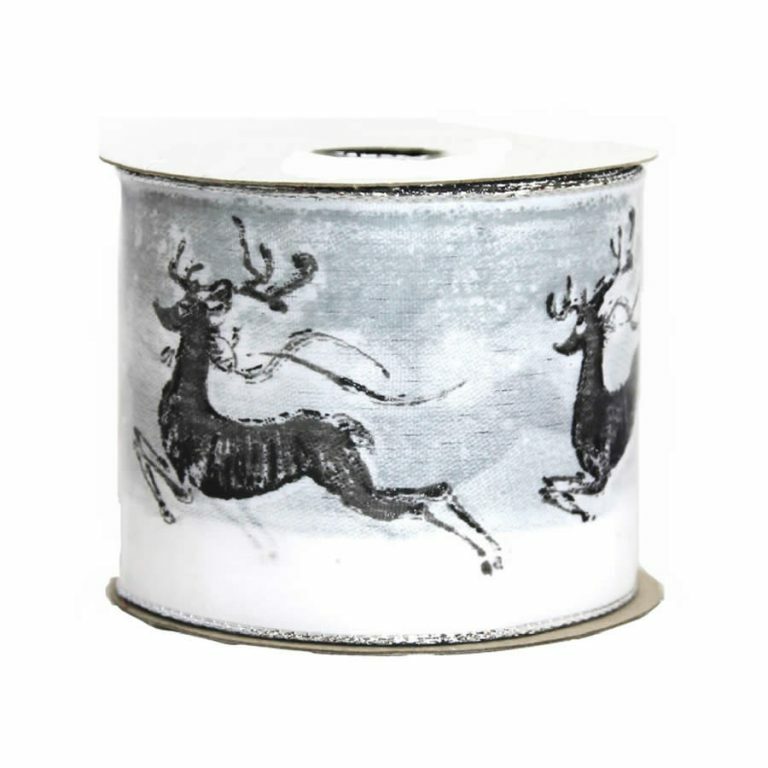 What a festive and merry ribbon! 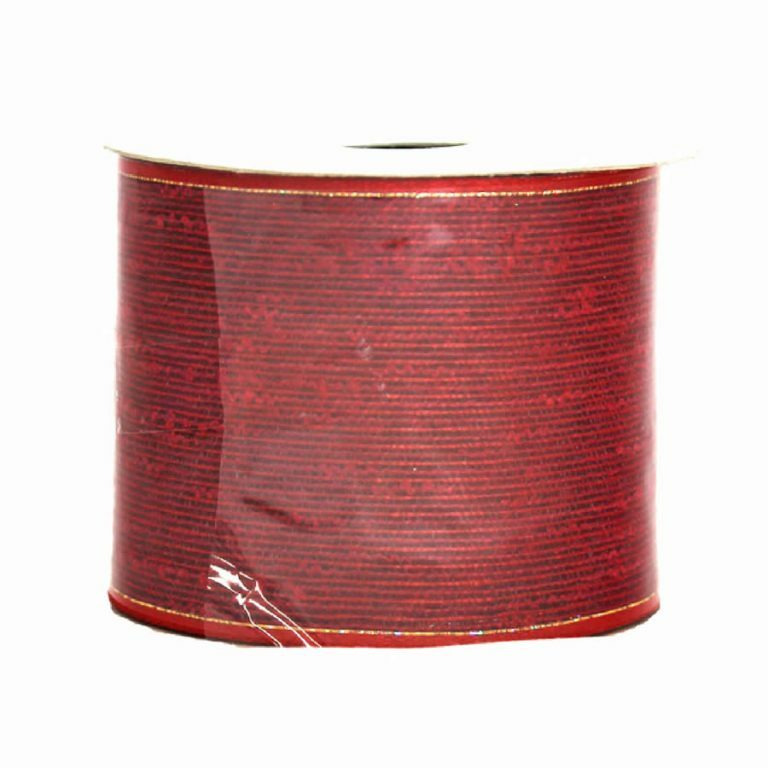 The Glitter Dots Christmas Ribbon is 9-metres in length and approximately 7cm wide. 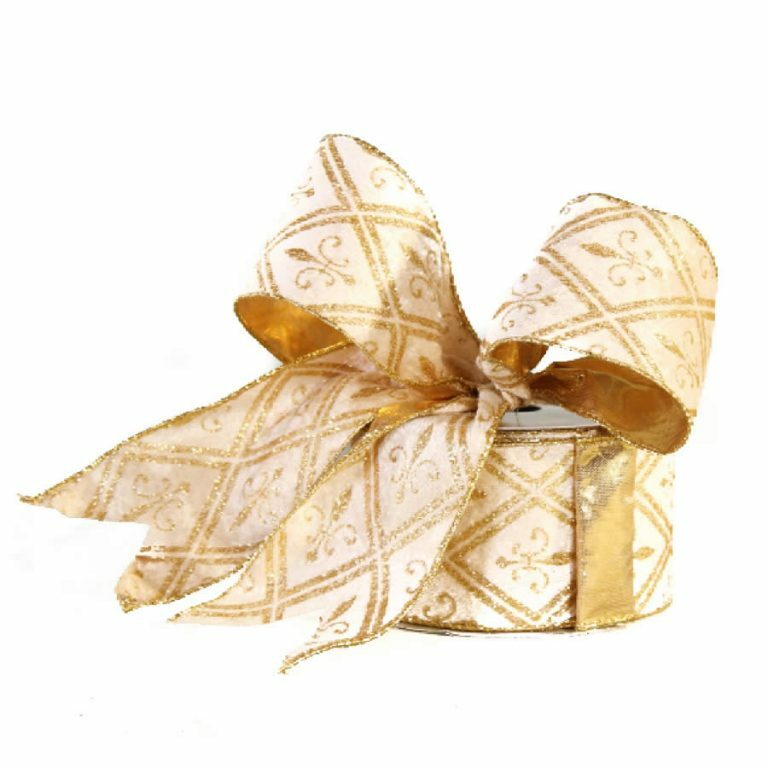 It is such a refreshing alternative to plain ribbons and would create the most magical and captivating bows and trims! 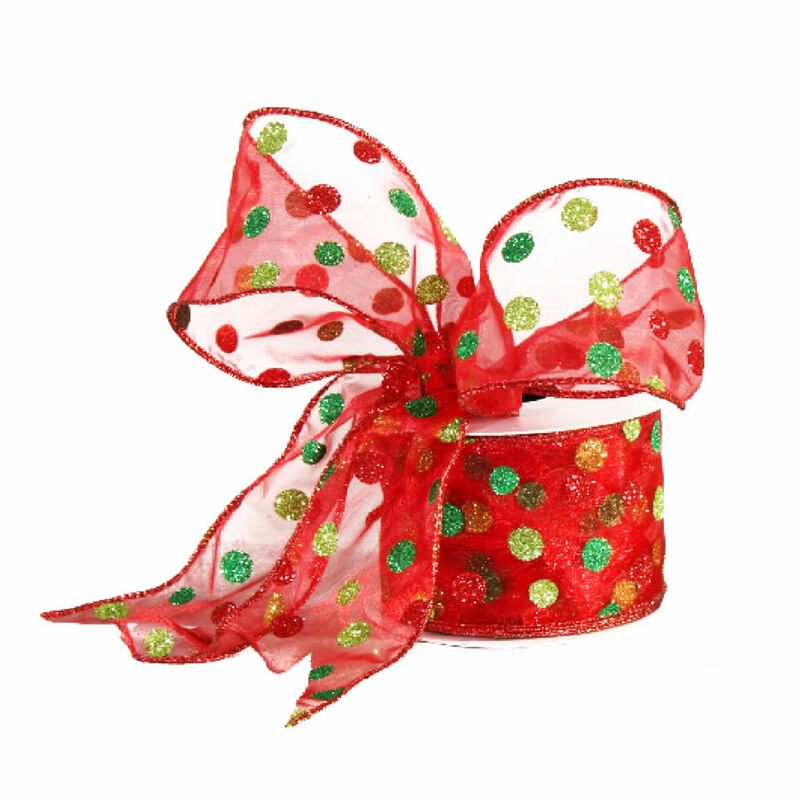 Each roll of ribbon features a sheer red facade, with vibrant glittered accents. The tiny spheres, or dots, are each kissed with glitter to create a bevy of multi-coloured baubles that dance across the face of this ribbon. Pair that with the red braided trim and wire edging, and you have a superlative holiday trim that will help you create projects, accents, and features for your home’s holiday decor. This ribbon has a light, airy feeling that is not found with heavier fabrics, and it complements decor rather than overpower it. 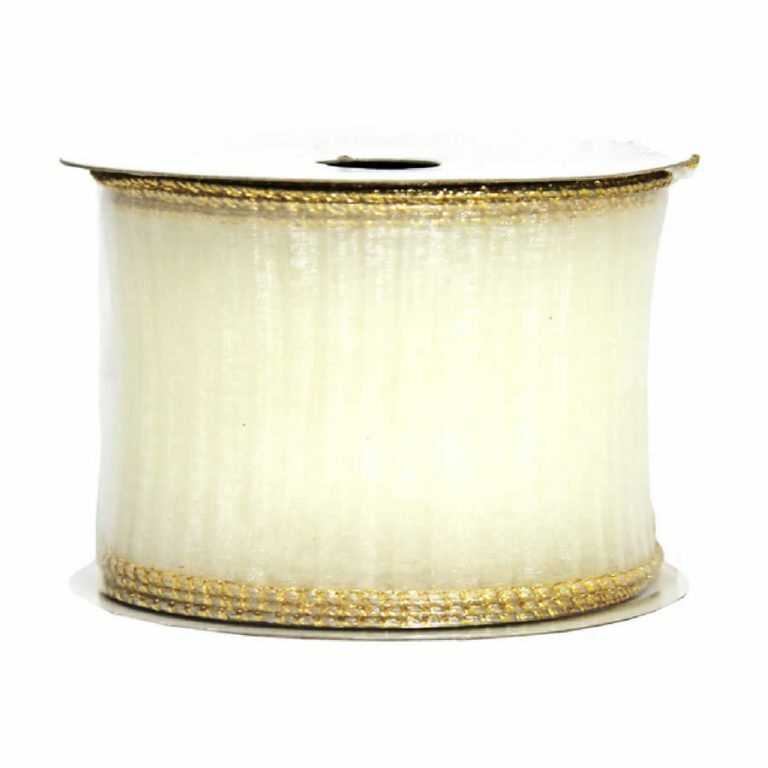 Enjoy using wire edged ribbon, and notice the ease and convenience that it provides.